Claims for industrial deafness and noise-induced hearing loss are surprisingly common in the UK. The Health and Safety Executive (HSE) has released figures that estimate that around 18,000 people are diagnosed with work-related deafness or hearing damage each year. Workers deemed most at risk from suffering from deafness or noise-induced hearing loss are those who work in industries such as manufacturing, energy and construction. However, any working environment where there is exposure to loud noise levels can put employees at risk of industrial injury. Suffering from any form of hearing loss can be incredibly frustrating and leave you feeling a sense of isolation. Depending on the level of damage, you may find it increasingly difficult to communicate and hold a conversation, which can have a major impact on both your work and personal life. If you are suffering from industrial deafness or conditions such as tinnitus, and you believe that your working conditions caused the damage, you could be entitled to make a claim for compensation. Our experienced personal injury solicitors will be happy to assess your case during a free consultation. You can find out within just a few minutes if you may have a valid claim, and this assessment is provided completely free and without any obligation to proceed. Employers have a duty of care to provide a safe and regulated environment for their staff. This legal responsibility to protect employees against workplace accidents and injuries is contained in several health and safety laws and regulations. The most well known and encompassing of which is the Health and Safety at Work etc Act 1974. In recent years, stricter regulations have been placed on employers to protect workers against specific risks. This includes working at heights, manual handling, using work equipment and working in noisy environments. These additional measures have been taken to improve workplace health and safety and minimise the occurrence of injuries and illnesses suffered at work. 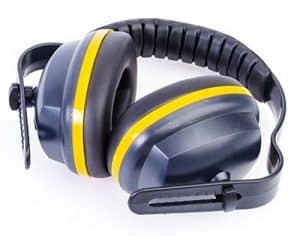 With regards to protection against hearing damage and industrial deafness, the Control of Noise at Work Regulations 2005 includes a number of safety measures and legal requirements that employers must meet. The aim of the regulation is to enhance the protection of employees and to ensure that adequate provisions are made to minimise the risk of damage to hearing in the workplace. To be compliant with these regulations, employers have a legal responsibility to carry out risk assessments to assess the noise levels in the workplace. They must also evaluate which employees may be affected by excessive noise levels, and then take appropriate steps to reduce the risk of hearing damage being sustained by these employees. Employers should also train staff to ensure that they recognise potential risks to themselves and within the working environment. This is complimented through regular checks of the workplace, thorough maintenance of noise producing machinery and equipment and frequent reviews of health and safety measures. What might cause industrial deafness? Continuous Loud Noise – for example, working in a factory where loud machinery is being used on a regular basis can give rise to cases of industrial hearing loss. Continuous exposure to loud noise without sufficient protection and safety measures can lead to a progressive worsening of an employee’s hearing, and can ultimately cause permanent damage. Single Loud Noise – as well as prolonged exposure to noise, deafness can also be caused by a single event. For example, the demolition of a building might expose a worker without adequate protection to a sudden and excessive volume which leads to industrial deafness. Whether hearing loss is caused by a single event or continuous and prolonged exposure, if the damage has been caused by negligence on the part of your employer, you have every right to consider making a claim for personal injury compensation. If you feel that your hearing has deteriorated due to your working environment, the first step is to visit your GP for a diagnosis. Whether you have been exposed to a sudden loud noise or continuous noise, explaining the situation to your GP will help them to determine the extent and cause of your injury. If your hearing loss, whether partial or permanent, may have been the result of your employment, the next stage would be to seek legal advice. We can provide you with a free claim assessment, where you can speak to an experienced solicitor to find out if you have a valid claim. This service is provided without obligation and is a great opportunity for you to ask questions and receive information about the process of making a claim. It is important that you receive legal advice as soon as possible, as there are strict time limits for making a claim. For industrial deafness claims, you have to start your claim within three years of the accident (if the damage was caused by a single event) or within three years of the date that your loss of hearing has been diagnosed. If you do have a valid claim and would like to proceed, your solicitor will then arrange for you to receive a medical examination by an independent medical expert. This doctor will assess your symptoms and ask you some questions about the work you do to determine the cause of the hearing damage. For example, what type of noise have you been exposed to, for what length of time and whether you were provided with suitable ear protection? The information given within the medical report will then be used by your solicitor, along with other evidence gathered such as witness statements, to build a case against the company at fault. It will need to be proven that your employer was or should have been aware of the dangers caused by excessive noise at work. To make a successful claim, it will also need to be shown that your employer failed to take reasonable steps to protect you against this risk and that this negligence subsequently led to you suffering from industrial deafness. The solicitor will send your employer a letter detailing the claim made against them, and they will have a set time scale to provide a response. If your employer accepts liability, the case will be settled without the need to go through the Courts. If they contest liability, a Court hearing may then be required to decide the outcome of the case based on evidence provided by both parties. If your claim is successful, the compensation awarded for your injuries and financial losses will be paid by your employer’s insurance company. All employers in the UK have a legal obligation to hold valid employer’s liability insurance to cover against work-related accidents and injuries, including those relating to deafness or hearing loss. Deciding to make a claim, particularly for a workplace injury or illness, can be a daunting prospect. You may be unsure about the process or the potential ramifications. This is a natural feeling, and we completely understand. Our solicitors pride themselves on their expert knowledge and extensive experience in handling claims for industrial deafness. We take great care to fully understand your individual case and to progress through your claim with confidence and assertive focus. Our friendly and talented solicitors will go to great lengths to ensure that their clients understand the full process and have realistic expectations about the outcome of their case. Furthermore, due to the nature of these claims, we make communication as easy as possible and will liaise with clients in their preferred manner so as not to exasperate difficulties with hearing. If you decide to seek compensation with the help of our solicitors, you will be provided with a No Win, No Fee service. This means you will not be asked to make any upfront payments to start your claim. This no win no fee agreement also ensures that if your case is unsuccessful, you will not pay a penny. If your industrial deafness claim is successful, our solicitors will work hard to ensure you receive the maximum compensation available for the injuries and losses you have incurred.